Dog breeding is an exciting business, not least because you get to work with dogs and puppies. A lot of people forget that taking care of the pregnant dog is a huge part of the journey, and making sure that your dog has the right nutrition to keep her healthy and strong for the whelping stage is incredibly important. Any dog owner will tell you that changing your pet’s food is a difficult task, but there comes a stage when you will need to modify your dog’s diet to support her growing litter. During this time you should keep your dog’s diet the same and feed her a normal amount of her regular food. Dog’s are particularly sensitive to changes in their diet. Many people try to dismiss this by saying that wild dogs will eat anything that they can find, but modern day domesticated dogs are very different from their wild ancestors. You should also make sure your dog has access to plenty of fresh drinking water, particularly if they are fed a diet of dry food. At this stage, many dog breeders switch to a diet of puppy food. Puppy food is high in nutrients and much easier to digest, so your dog will be well prepared to grow a strong and healthy litter. When making the transition from regular food to puppy food, you should introduce the new food gradually over at least one week. On the first day, try cutting her normal food by 10% and substituting with puppy food. The next day, you can cut a quarter of her normal food and make it up with puppy food. Continue until she is eating a diet of just puppy food. Note: If the puppy food that you switch to doesn’t agree with her stomach, leave it at least a week before switching again, as too many changes to her diet can cause problems. 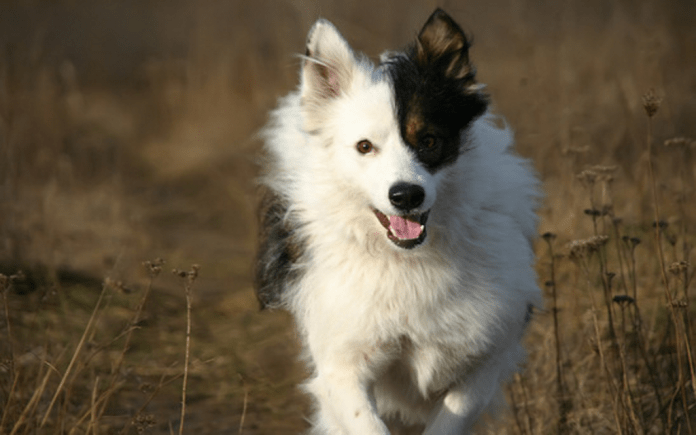 Finding a way to make sure a dog still has the energy to deliver a litter of puppies on the whelping day is a challenge many dog breeders face. Ensuring she remains hydrated is the most important task. You might also want to give her a light broth to ensure she is still getting some nutrition during this exhausting time. Nursing the pups is far more difficult for your dog than pregnancy. She will need all the help she can get from her food, which is why you should increase her food in the first three weeks of nursing. In week one, increase her normal portion of puppy food to 150%, in week 2 increase it to 200% and in week 3 boost it to 3 times her normal portion. It all depends on the breed, but most dogs will nurse their puppies until around 6-8 weeks. This is also the stage when the puppies are likely to have their dog microchip implants fitted. At this stage, you can start to gradually decrease her food amount until she is back to her pre-pregnancy amount. Note: With a large litter, puppies can be partially weaned from as little as 3 weeks old to ease the pressure on the mum for milk. You can feed the puppies the same brand of puppy food as their mum.